Got implants? Don't worry, no one will know. When teeth are lost, the area of the jawbone that held those teeth starts to erode. Over time, you can lose so much bone that you will need a bone graft to build up your jawbone before your dentist can place implants or make a denture that fits properly. Studies indicate that surgical placement of root-form implants is successful more than 98% of the time. When these implants fail, the problems usually occur within the first year after surgery. After that, only about 1% of all implants fail each year. Implants have become increasingly popular since the American Dental Association (ADA) endorsed them in 1986. Between 1986 and 1999, the number of implant procedures tripled. An ADA survey found that the average number of implants placed by a dentist who does the procedure was 56 per year in 1999, compared with 18 in 1986. It is now estimated that between 300,000 and 400,000 implants are placed every year in the United States. Depending on your particular problem, implants can be more expensive than the alternatives (denture or bridge). A basic implant plus a crown can cost between £1,500 and £4,000. The fees will depend on many factors and vary considerably. Insurance companies generally do not cover this cost, although you should always check with your insurer. While the up front cost for implants can be more than for other types of restorations, the investment can pay off in the long run. You may not need an implant for every missing tooth. Your dentist can discuss how many implants you will need. 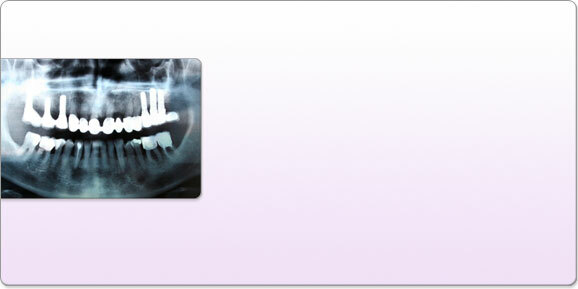 Feel: because implants are imbedded in your bone, they feel more like your natural teeth than bridges or dentures. Convenience: you will not need to worry about denture adhesives or having your dentures slip, click or fall out when you speak. Nutrition: you will be able to chew better with implants. Chewing can be difficult with ordinary dentures, especially ones that don't fit perfectly. An ordinary upper denture also covers your palate, which can reduce your sense of taste. Self-Esteem: because implants are so much like your natural teeth, you will think about them less. Your self-esteem and confidence will be improved because you will not have to worry about denture problems or people noticing that you have missing teeth. Ordinary dentures also can affect your speech, which can make you less self-confident when talking with others.